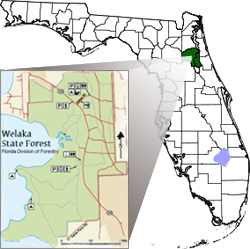 With the exception of Hawaii, Florida has more native ferns than any other state in the Union. 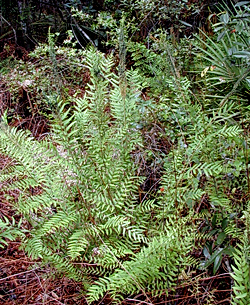 There are approximately 130 species of fern native to Florida, of which only a handful are in widespread cultivation. Thankfully the royal fern, Osmunda regalis var. spectabilis, is one of them. The royal fern can reach a striking three to four feet high. From his book A Gardener's Guide to Florida Native Plants, author, Rufino Osorio writes, "with age, royal ferns assume a stunning architectural quality. The long, erect fronds are finely divided and this results in a surprisingly delicate effect for so large a plant." Among the fronds are spore stalks (a.k.a. "fiddleheads") that run from green to a rusty brown, which are set off quite nicely by the evergreen foliage. This perennial fern also forms a trunk-like rhizome as it ages, which gives it a solidly regal appearance in the garden. Something unusual has been happening in our garden this summer. All summer long we’ve had a hummingbird visitor in our garden. 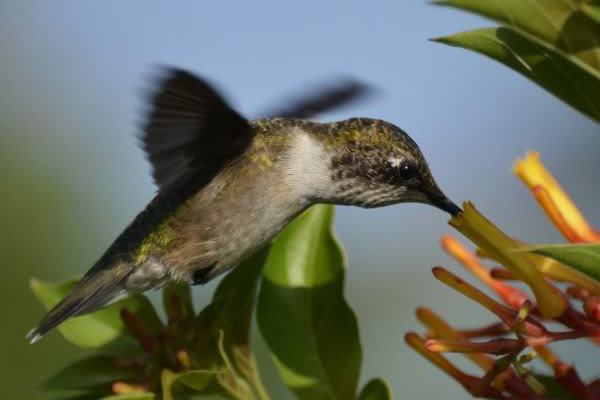 The rangemaps for Ruby-throated Hummingbirds show central Florida as the southern limit of its breeding range. So, while our area is within the summer range, most of the birds of this species nest further north and we see them only in migration (spring and fall). The rainy season has returned. Maybe our drought is over. In my part of the state, lakes have risen a foot in just two weeks, although they are still well below historic levels. 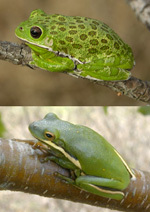 In the evenings following a deluge, I enjoy listening to the exceptionally loud chorus of froggies in the treetops, especially the Barking Treefrog (Hyla gratiosa) and the Green Treefrog (Hyla cinerea). Not only are they music to my ears, but my plants like them too - they consume a hearty share of beetles and their kin, which we seem to have an abundance of in Florida.